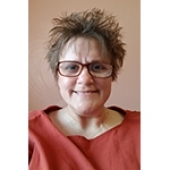 Leah R. Gray, MBA, CESP is an Independent Living Coordinator for Disability Options Network. She received her Masters’ degree in Business Administration and Sports Management from Robert Morris University. She also received her Associate of Science degree in Business Management and a Bachelors’ degree in Business Administration/Accounting from Edinboro University. She has more than 20 years of experience in working with people with disabilities. Ms. Gray was a member for the National Wheelchair Basketball Association for more than 25 years and has competed in various adapted sports at many different levels of competition. She is the proud mother of 2 children – Peyton and Donovan.